U.S. small businesses engaged in international trade are well acquainted with the additional financial risks of exporting or importing goods and services from foreign countries. From fluctuating currencies to the increased pressures of a global supply chain to the difficulty of determining a foreign partner’s creditworthiness. Trade finance offers a way to mitigate some of these risks. Trade financing makes possible the importing and exporting of goods and services internationally as well as foreign investment. This article will take an in-depth look at the most common forms of trade finance. Each of these trade finance tools has its own unique pros and cons for those engaged in international trade. Below, we’ll delve into the details of each option. One of the most common types of trade finance, particularly among small businesses, is invoice factoring. Also referred to as debt factoring and accounts receivable factoring, invoice factoring is a form of short-term asset-based financing available to B2B and B2G businesses. It’s common among those in the shipping and transportation business who typically rely on working with a good freight factoring company. Invoice factoring involves selling an invoice that is due at a later time (typically 30, 60, or 90 days later) to a factoring company who will advance you a percentage of that invoice immediately (typically 80%). Once your customer pays the invoice, the factoring company pays you the balance (20%) of the invoice minus their fees. Their fees are known as the factor rate. Cash flow can be a problem even for healthy companies. Fast growth and seasonality are two main causes of cash flow problems for healthy businesses. Invoice factoring allows you to get a majority of your invoice advanced to you so that you can cover the costs associated with producing your product or service (labor, materials, etc) without having to wait months for your customer to pay the bill. Factoring also increases your competitiveness, especially when exporting. It allows you to offer more generous net-terms (credit terms) to your foreign customers because you know that you can reliably turn an invoice into cash right away. Those net-terms might just separate you from the pack when your international customer is shopping around. A factor’s rate is typically charged weekly or monthly. Most invoice factoring companies will expect you to factor $50K of receivables per month and have the ability to off credit lines of many millions of dollars. Some invoice factoring companies, like our preferred invoice factoring company, TCI Business Capital, are made will look to partner with your business for the long haul. Invoice factors place a lot of emphasis on the creditworthiness on your trading partner. This means that even businesses with less than perfect credit can factor their invoices as long as their partners have a solid history of payment. To take advantage of invoice factoring, you need to actually send out invoices. And if you’re working with international customers, you need to make sure the invoices are denominated in the right currency. Letters of credit have many uses in trade finance and can serve exporters and importers in a variety of ways. Not to be confused with a line of credit (LOC), a letter of credit (LC) is a guarantee of payment by an importer’s bank made to the exporter. The guarantee in the letter of credit is contingent on the exporter meeting the terms and conditions outlined in the letter of credit. In most cases, the conditions involve the exporter providing certain documents (like a bill of lading) proving they delivered the correct products or performed the agreed upon services. A letter of credit can be invaluable to small businesses exporting goods or services to foreign customers, especially if determining those customers’ creditworthiness or ability to pay proves to be difficult. This might be the case if the importer is located in a country that is considered higher risk or that has a more volatile currency. Since a letter of credit is typically provided by a bank that is local to the importer, that bank is in a much better position to determine the importer’s creditworthiness. And in most cases, you will have no question of the bank’s ability to pay. The fee to obtain a letter of credit from a bank is paid for by the importer. Fees for letters of credit will typically fall near .75% of the amount of the guarantee, but they can be higher for importers in developing countries or for deals that are deemed riskier by the bank. In general, a letter of credit can be obtained quickly, usually in a matter of days. U.S small businesses engaged in exporting may find it a good idea to require an importer to obtain a letter of credit anytime they are working with new trade partners. They are also valuable trade finance tools if circumstances are such that a well known customer’s ability to make good on your bill could end up beyond their control. 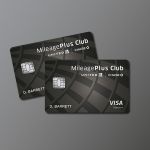 Letters of credit can be obtained for one-off transactions or ongoing trade deals. Forfaiting is a form of trade finance that is similar to invoice factoring in that it allows exporters to sell their accounts receivable at a discount in exchange for immediate cash. The difference is that forfaiting is a non-recourse financing option for medium-term international trade receivables rather than short-term receivables. Forfaiting significantly reduces the exporter’s risk of nonpayment by their foreign customer while providing them with a solution to near-term cash flow concerns and cleaning up their balance sheet by turning a credit based transaction into what is essentially a cash deal. Like Letters of Credit, forfaiting is popular for businesses that are exporting to customers in countries that are considered higher-risk or that have currencies with more volatile exchange rates. Forfaiting has the added benefit or not only guaranteeing your customer’s ability to pay, but it pays a medium- or long-term contract immediately reducing your exposure and boosting your cash flow. Forfaiters will be much more comfortable than invoice factoring companies with financing larger deal sizes and longer credit terms. Most forfaiters won’t look at a deal under $100k and net terms typically range from 180 days – 7 years. The cost of forfaiting will vary widely depending on the importer, the importer’s country, and the term of the contract. That said, the cost is traditionally passed along to the importer. A forfaiting arrangement will involve the exporter, the exporter’s bank (forfaiter), the importer, and the importer’s bank. The exporter will find a local bank that is willing to act as a forfaiter before finalizing their deal with an importer. The exporter’s bank will set their terms which the exporter will then incorporate into their final deal with the importer (usually incorporating the cost of forfaiting). The importer will then seek a letter of credit (or aval) from their local (but internationally recognized) bank to guarantee payment on the contract. At that point, the exporter delivers the product or services and delivers specific documentation of the delivery to their forfaiter who will then pay on the contract. The forfaiter will then collect all owed money from the importer as outlined by the contract. The SBA Export Loan Programs are designed to help U.S. small businesses expand their export activities and international transactions. We’ll take a closer look at each option, what they’re used for, and how to qualify. What is an SBA Export Express Loan? The SBA Export Express Loan streamlines the process of obtaining working capital to support U.S. small businesses engaged in exporting. The loans can be as large as $500k with terms as long as 7 years. SBA Export Express Loans currently have interest rates between 8% – 10%. Proceeds from an SBA Export Express Loan can be used for a wide range of things. The funds can be used to market your products or services in foreign markets, cover expenses associated with foreign trade shows, or simply purchase equipment or expand existing facilities to increase your ability to serve foreign markets. What is as SBA Export Working Capital Loan? The SBA Export Working Capital Loan (SBA EWCP) allows for funding of up to $5 million. The term length is typically under 12 months, but it can be extended for as long as 3 years. Unlike most SBA loan programs, the SBA does not restrict the interest rates that lenders can set on SBA Export Working Capital Loans. They do, however, review each deal to ensure rates are “reasonable.” Typical rates are usually in the range of 6.75% – 10%. The SBA Export Working Capital Loan is designed to help fund export transactions when the small business has a purchase order from a foreign customer but won’t be paid upfront. Proceeds of the loan cover supplier, inventory, or production expenses related to the goods or services that you’re exporting. The aim is to allow U.S. small businesses to be able to offer more favorable/flexible terms to their foreign customers without running into cash flow problems. What is an SBA International Trade Loan? An SBA International Trade Loan (SBA ITL) can provide up to $5 million of funding to help U.S. small businesses meet working capital or fixed asset needs. Unlike the other two SBA Export Loan Programs, in addition to promoting exports, the SBA ITL can be used by businesses negatively impacted by imports. With terms up to 25 years and interest rates between 5.75% and 8.25%, this is a very generous program. SBA International Trade Loan proceeds can be used to repurpose, renovate, or buy facilities or equipment in the U.S. In addition, an SBA ITL can be used to refinance existing debt. Whatever you use the proceeds on, it must be with the goal of expanding into a foreign market. The SBA has 21 US Export Assistance Centers. In addition to SBA staffers, employees of the U.S. Department of Commerce and the U.S. Export-Import Bank also work at the centers. They also coordinate with other public and private organizations to help U.S. small businesses compete globally. Find your nearest office on the SBA’s directory. To learn more about SBA export loans in general, visit the SBA website. The SBA isn’t the only government agency supporting U.S. small businesses with trade finance options. Next we’ll take a look at the Export-Import Bank. The Export-Import Bank of the United States (EXIM Bank) is an independent federal agency that provides a number of trade financing solutions to encourage the growth of U.S. exporters. The EXIM Bank does very little direct lending. In fact, 99% of their deals involve insuring or guaranteeing deals done by private lenders. 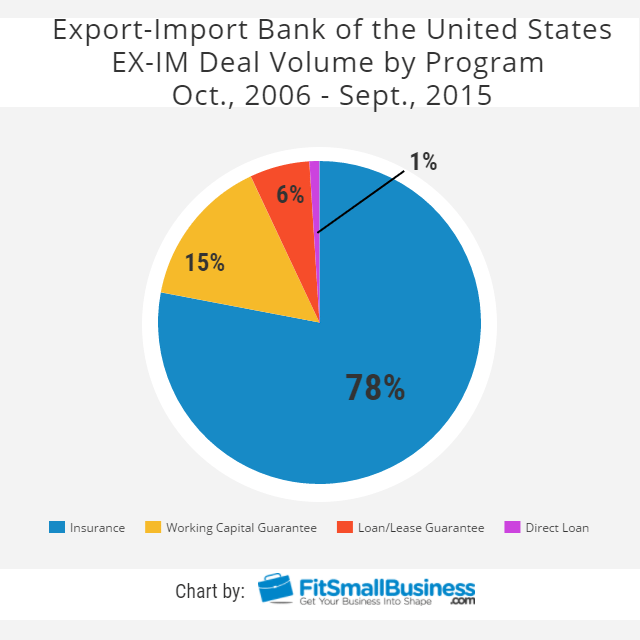 We’ll take a closer look at each of EXIM Bank’s trade finance tools, what they’re used for, and how to qualify. What is EXIM Export Credit Insurance? EXIM Bank’s Export Credit Insurance is an insurance policy on your international account receivables. EXIM Bank will insure 90% – 100% of your international account receivables. The amount insured will depend on the product or service being sold and the customer buying (for example, agricultural commodities and government buyers will receive greater coverage). The export credit insurance provided by EXIM Bank can cover political risks, such as war or changes in law that prevent you from converting foreign currency. It also covers commercial risks, like nonpayment or bankruptcy. By reducing the risk of nonpayment, you also increase the immediate value of your foreign accounts receivable. If you chose to, you could use these now relatively safe, foreign AR’s as collateral for a loan with another lender. Or, simply knowing that the vast majority of your international invoices and contracts are insured might enable you to offer more competitive credit terms (net terms) to your customers and allow you to earn more business. The cost for EXIM’s Export Credit Insurance varies depending on the specifics of your deal. That said, most small businesses will find that the rate falls between .55% and 1.77%. EXIM’s Express Credit Insurance has a more streamlined application process, covers your deal for up to 60 days, and has a cost of .65%. In most cases, applications for express credit insurance can be approved in under 10 days. What is an EXIM Bank Working Capital Guarantee? EXIM’s Working Capital Guarantee allows U.S. exporters to obtain working capital loans from private commercial lenders that lenders might not otherwise approve because of the risks inherent in exporting to international customers. These are short-term loans (under 1 year) which help small businesses maintain healthy cash flow. Typically, these loans are made based on short-term assets, like inventory, raw materials, or accounts receivable. Without a guarantee from the EXIM Bank, a private lender might be willing to loan a small percentage of the collateral value, say 30%. With the EXIM Bank guarantee, the lender may be willing to loan closer to 75%+. Loans backed by an EXIM Working Capital Guarantee can be used for labor, materials, suppliers, and other costs associated with an export deal. 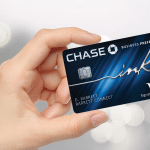 The guarantee can also be used to support letters of credit. Letters of credit typically require cash collateral and a working capital guarantee from EXIM Bank can reduce those collateral requirements. While the cost of your private commercial loan will vary depending on your deal and the lender, there are some fees for the EXIM Working Capital Guarantee. The application fee is $100. Additionally, loans with terms under 6 months have a fee of .875% and loans with terms over 6 months have a fee of 1.25%. What is an EXIM Bank Loan Guarantee? The EXIM Bank’s Loan Guarantee is actually for your international customers. Whether they are a private or public entity, as long as your foreign customer is creditworthy, the EXIM Bank will guarantee the loan made to your foreign customer by a private lender. This enables your customer to obtain competitive financing, particularly on loans with terms of 2+ years, in situations where they would otherwise not. The EXIM Bank Loan Guarantee will cover up to 85% of the value of eligible products/services in the U.S. supply contract. Additionally, certain soft costs like installation can be covered by the guarantee. The actual terms and rate of the financing is still determined by the private lender, and the guarantee can support loans denominated in certain foreign currencies. There are two fees associated with the EXIM Bank Loan Guarantee: commitment fee of 0.125% per annum on any undisbursed balance of the loan and an exposure fee which varies based on things like country-risk and credit-risk. These fees are both paid by your foreign customer. What is an EXIM Bank Finance Lease Guarantee? EXIM Bank’s Finance Lease Guarantee program is very similar to their loan guarantee program. It is offered to satisfy international customers of U.S. products/services that want to enter a leasing arrangement over a term loan. Again, this guarantee is only offered to creditworthy foreign customers who do not have other economically viable financing options available to them. The Finance Lease Guarantee helps make leasing more affordable for your international clients to make your businesses more competitive. The leases must be structured as a finance lease. These are leases that essentially transfer all risk and benefit of the product/service to the lessee. Examples of such lease arrangements are full payout leases or $1 buyout leases. Deal sizes are limited to $10 million and require a 15% cash down payment. As with their loan guarantee, EXIM’s Finance Lease Guarantee has two fees associated with it: a commitment fee of 0.125% per annum on any undisbursed balance of the loan and an exposure fee which varies based on things like country-risk and credit-risk. Your foreign customer pays these fees. What is an EXIM Bank Direct Loan? EXIM Bank Direct Loans are designed to provide loans to international customers (public or private sector) to aid them in purchasing U.S. products and services. This product is typically not a tool used to directly support U.S. small businesses. More often this program supports medium and larger businesses. The program offers fixed-rate loans with rates set by the Commercial Interest Reference Rate (CIRR) and with terms of 7 – 18 years. An example of a project financed with a direct loan from the EXIM Bank is a 2012 project in which the EXIM Bank directly financed a $2 billion deal in the UAE for a nuclear power plant. As we pointed out in the chart above, direct loans account for only 1% of the number of deals that the EXIM Bank does. Primarily the EXIM Bank is in the business of insuring or guaranteeing private loans made to U.S. exporters or their foreign customers. These products are far more likely to benefit U.S. small businesses. The qualifications for a direct loan from the EXIM Bank will vary, but in general you must be a well established business with a proven ability to complete large scale, international capital projects and your international customer must be deemed a well established, credit worthy business, government, or other agency which does not have affordable financing available to them elsewhere. The Export-Import Bank can help US small businesses before they’ve even won a contract or secured a buyer. If a contract has not been awarded, then a lender, an exporter, or an international borrower may request a nonbinding letter of interest (LOI) containing EXIM Bank terms for a specific future transaction. An EXIM Bank LOI can be processed within seven business days, is valid for six months, and can be renewed if necessary. That said, working with the EXIM Bank can subject you and your international customers to additional rules and requirements. For example, if your international customer receives a direct loan from EXIM Bank or if you or your customer receives a loan guarantee greater than $20 million or a term longer the 7 years, any products that you ship by sea must have U.S.-flag carriage, meaning it must be shipped from the U.S. and carried on a U.S.-flagged vessel. Deals that require EXIM financing can be derailed if they are deemed likely to threaten the viability of another U.S. company/plant/workforce even if only indirectly. For example, if the economic impact of your deal will give your international client expanded capabilities that could potentially encroach on a U.S. competitor, that deal may become ineligible for EXIM backing. The Overseas Private Investment Corporation (OPIC), is the U.S. Government’s development finance institution. Their mission is to promote U.S. foreign policy by using private capital to finance development abroad. The OPIC’s support is also meant to give U.S. businesses a foothold in new markets as well as support jobs in the U.S. In fact, nearly 80% of the projects the OPIC finances are comprised of U.S. small businesses. We’ll take a closer look at both OPIC programs below. What is OPIC Debt Financing? OPIC Debt Financing comes in the form of loan guarantees and direct loans. The financing is made available for specific investments in developing countries so long as the project has significant U.S.-owner involvement and would not negatively impact the U.S. economy. The OPIC does not fund stand-alone exports deals. Rather, their loans and guarantees are, in most cases, used to cover major capital costs like equipment, facility improvements, and infrastructure. They can be used in a wide variety of industries, like housing and hotels, infrastructure and telecommunications, and even resources extraction. Small businesses that qualify can be approved for direct loans of $350k – $10 million with terms from 3-15 years. Larger businesses can qualify for more. Interest rates will vary depending on the project and the parties involved. To receive funding, projects be financially viable with management teams that have significant experience in the industry. Also, the OPIC typically looks for deals to have a debt-to-equity ratio of 60/40 (debt-to-equity ratio = total business liabilities/shareholders’ equity). Because these are capital investments being made in developing countries, the OPIC requires that the entity requesting financing be a U.S.-organized entity with 25+% U.S. ownership or foreign-organized entity with 50+% U.S. ownership. What is OPIC Political Risk Insurance? OPIC’s Political Risk Insurance helps U.S. businesses pursue opportunities in developing countries by mitigating certain risks, such as war, coup, terrorism, expropriation, and currency inconvertibility. OPIC Political Risk Insurance can cover losses to tangible assets, investment value, and earnings. The products are available to exporters, contractors, and investors in 150 developing countries. These insurance policies typically require that you pay the annual premiums in advance. Equity coverage can be for terms up to 20 years. Insurance covering contractors and exporters have terms that last as long as the underlying contract of agreement. OPIC Political Risk Insurance can cover up to 90% in most cases. Coverage might be unavailable in regions where the OPIC already has high exposure. The qualifications for the OPIC’s Political Risk Insurance are vague, and they encourage potential applicants to contact them before submitting an application to discuss the application. Also important to note is that while OPIC’s Political Risk Insurance can cover currency inconvertibility, that coverage does not protect your business against the devaluation of a country’s currency. In that respect, it is absolutely critical that you know exactly what exposure you have to foreign currencies at any given time. The U.S. Department of Commerce and their International Trade Administration are both invaluable resources for exporters and importers. Find out more information about U.S. government programs and initiatives designed to help US small business compete globally. Export.gov is an easy to navigate resource brought to you by two agencies listed above in partnership with 19 other U.S. government agencies. It is a one-stop-shop for expert advice and valuable tools for U.S. small businesses engaged in international trade. Global Trade Review is a great resource for those U.S. small businesses looking to stay engaged with global trade news and trends. The American Association of Exporters & Importers (AAEI) is trade group that provides its member companies with educational and informational services. It also engages in advocacy to make international trade easier and more cost effective for U.S. businesses. For those small businesses engaged in international trade, it’s key that you familiarize yourself with the trade finance options available to you. From factoring short-term accounts receivables to forfaiting large, medium-term contracts, to getting working capital loan guarantees from the SBA or EXIM bank, there are many tools available to exporters and contractors with foreign customers. For long-term trade financing, long-term loan guarantees, and direct loans, the SBA, EXIM Bank and the OPIC have products that will open doors for US businesses. And don’t forget about credit insurance and political insurance which can significantly reduce your cost of borrowing and ensure you don’t suffer significant losses if circumstances beyond your control upend your international deal. If so, may we be advised on the qualification, requirements and rates. Purchase order financing is a great option for businesses in need of cash to fulfill a single or multiple product orders. We’ve put together a comprehensive guide about PO financing and how it works. Our guide includes information about typical qualifications, requirements, and rates. We’ve also evaluated some of the best PO financing companies to help you as you’re considering your options. 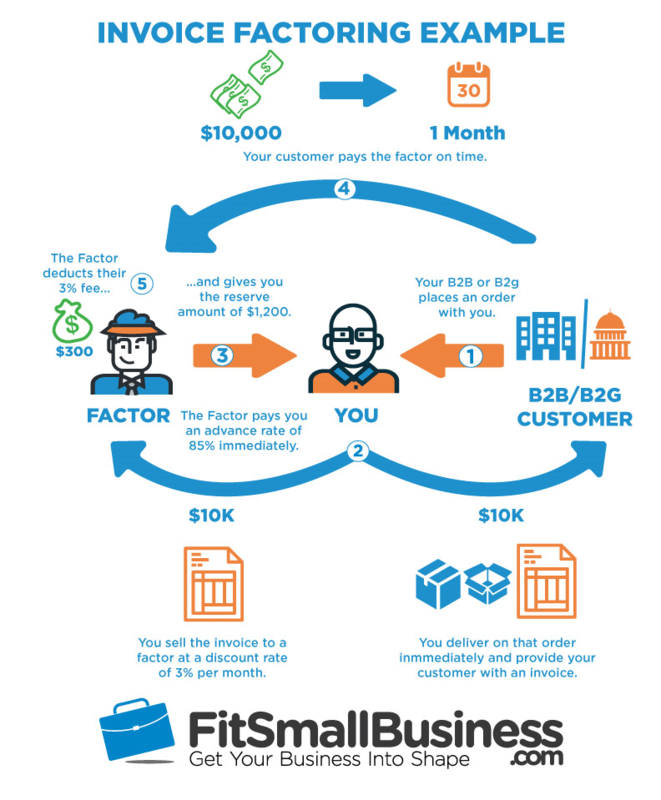 As it relates to factoring for government contracts, some of the best invoice factoring companies we’ve reviewed offer factoring for B2G customers.